Do not stop! Just move! You should be the best here! 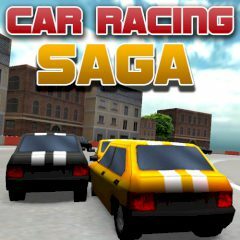 Drive your fantastic sport car and beat all of your opponents as fast as possible. Just use the arrow keys and you will be the real fan. Set the best record at any rate. Do not let your chance to slip! Have you ever dream to become the best racer in the whole world? In this 3D game everything is real! Do not look back just go ahead! If you win even the all levels, you will able to say to yourself that you are a really good racer, because all the way to win in this game will have been only about your driving skills, which will have proved in depth on three challenging tracks. Opponents are always three in each race and they have the same car as you, so nobody has an advantage over others. I believe, that you manage win all races!